Salary Slip is one of the important documents of every employee. Salary slip shows the amount you have earned after doing hard work for the entire month. It is month end time and soon your account will be credited by salary. You must agree with me that the most powerful words other than I LOVE YOU is “Salary is Credited” 🙂.This message gives a lot of comfort and good feeling to all salaried people. Once your salary is paid account department will send you salary slip. For the majority of people salary slip or pay slip is one document which will be used for applying loan or for credit card. The terms used in salary slip are sometimes confusing. You must be thinking that what I am going to get by understanding salary slip. Well, here are few reasons why you should understand your salary slip. This will help you to negotiate salary as and when you want to switch your job. You will come to know difference between CTC and your a take home salary. You can optimize your tax saving by making use of tax deductions. You can understand how much money is deducted towards benefits like EPF,ESIC etc. You can do financial planning in better manner based on earning and deductions. 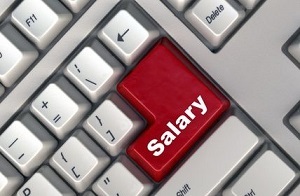 Basic salary is most important component of your salary. Your dearness allowance and PF deduction is depended on this salary component. Dearness allowance is separate allowance paid to employee. This account is calculated as a percentage of basic salary to mitigate effect of inflation. HRA as name indicate it is allowance given to pay your house rent.HRA value depends on your job location. If you are working in metro location your HRA will be high. Tax – If you are living in your own house 100% HRA amount is taxable. However, If you are living in rented house you will get tax exemption on whichever of the following is lower. Conveyance allowance is amount paid by employer to you as a cost of travel from home to work. Tax – 1600 Rs per month or your conveyance allowance whichever is lower is exempted from income tax. Medical allowance is reimbursement given by the employer for the medical expenses incurred by the employee. In a majority of cases, this reimbursement is subject to submission of expense proof. Tax – Medical allowance is exempted up to 15000 Rs per annum. You need to submit expense proof in order to avail this exemption. Leave Travel Allowance is allowance paid to you for travelling while on leave. This allowance also includes travel expense of your family member also. Tax – LTA is exempted if you submit proof of your travel. If you are unable to produce travel proof entire LTA amount will be taxable. Bonus or Performance pay is paid to you as a yearly reward. Performance pay varies based on your performance. ESOP is employee stock option offered by an employer to you. This means stock of the company is offered to you at much lower rates. PF is 12% of your basic salary amount. This amount is deducted every month by employees. The employer will contribute the similar amount in your PF account. Professional Tax is tax applicable in certain states. This tax is in the range of few hundred rupees and depends upon your salary slab. You cannot lower this tax. Income Tax is tax deducted every month by employer towards income tax. This tax deduction is known as TDS. This amount will be paid to income tax department by employer. You can lower the Income Tax by investing in various tax saving investment options. Your Basic salary is most important allowance as all other allowance and PF deduction is based on this allowance. You can reduce Income Tax component by investing money in tax saving instruments. Your take home salary and CTC is not same. CTC is much higher than take home as CTC amount includes multiple other benefits like free food transport, health insurance etc. You should check income and deduction mentioned in salary slip and incase of discrepancy kindly contact accounts and HR department immediately. Salary slip, the word slip has significant meaning, If salary is not protected and if it slips, it leave your wife lips to bother you by fires. proper planning for the future is required, it is always better if the future planning is done in your salary itself by deposits and cuts before you receive salary, salary savings before you receive salary.